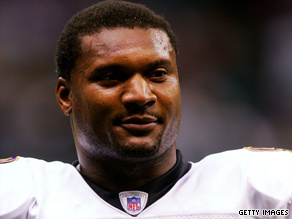 (CNN) -- The pistol found at the scene of the shooting that killed former NFL quarterback Steve McNair and his girlfriend was purchased by the woman two nights before, police said Monday. McNair, 36, and Sahel Kazemi, 20, were found fatally shot in a condominium in downtown Nashville, Tennessee, on Saturday afternoon. McNair was shot twice in the head and twice in the chest, and Kazemi was shot once in the head, authorities said. Police found a semiautomatic pistol beneath Kazemi's body and determined that she bought it Thursday night, Nashville Metropolitan Police Department Spokesman Don Aaron said Tuesday. Authorities classified McNair's death a homicide but had not decided how to classify Kazemi's. Police found the couple after receiving a phone call about an injured person. Asked whether the shooting was a murder-suicide, Aaron said investigators had ruled out nothing. "I would expect that it would be a number of days before the classification is placed on Miss Kazemi's death," he said. There were no signs of forced entry at the condo, which was rented by McNair and a friend of his, sporting-goods dealer Wayne Neeley, Aaron said. Neeley used a key to enter the building and discovered the clothed bodies Saturday afternoon, Aaron said. "The two had been dead for a period of hours prior to the bodies being discovered," Aaron said. Neeley then called his friend Robert Gaddy, who went to the condo and called police. Asked why Neeley had not called police himself, Aaron said, "My conjecture would be that he was shocked and horrified by what he had just discovered and, for some reason, his inclination was to contact Mr. Gaddy, who was a close friend of Mr. Neeley's and Mr. McNair's." Witnesses told police that McNair had been at the Blue Moon Lagoon Bar and the Loser's Bar, both Nashville establishments, late Friday into early Saturday, Aaron said. Staff and management of both bars will be interviewed, he said. Neighbors said a Cadillac Escalade driven by Kazemi -- registered to her and McNair -- was in the condominium parking lot when McNair arrived about 1:30 a.m. "The presumption is she was there when he arrived," Aaron said. Police are also interviewing Kazemi's former boyfriend, Aaron said. The bodies were found two days after Kazemi was pulled over in the Escalade and charged with driving under the influence, Aaron said. McNair was in the car at the time. Kazemi's sister, Sepide Kazemi, said she suspected that her sister was the other fatality when she heard on the news Saturday afternoon that McNair and someone else had been found dead. "We had a feeling that it was her, because she would be the only young woman with him at that time, as far as we knew," Sepide Kazemi told CNN affiliate WSMV. McNair spent 13 seasons in the NFL, most with the Tennessee Titans. He was named the NFL's co-MVP in 2003 and spent his last two seasons with the Baltimore Ravens, before announcing his retirement in April 2008. He led the Titans to the 2000 Super Bowl, which they lost to the St. Louis Rams. McNair attended Alcorn State in Mississippi.